A guidon is a pennant-shaped standard that signifies a particular unit. 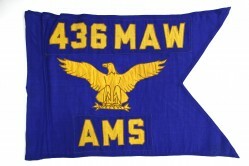 Modern U.S. Air Force guidons are ultramarine blue and yellow. 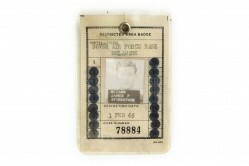 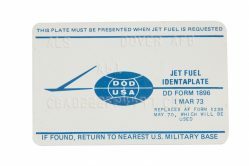 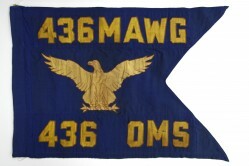 The parent unit name appears at the top and the squadron name below. 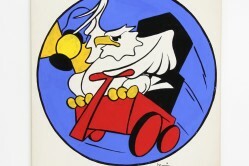 In the middle is an eagle. 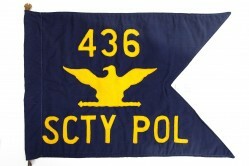 This guidon was used by the 512th Military Airlift Wing stationed at Dover AFB, Delaware. 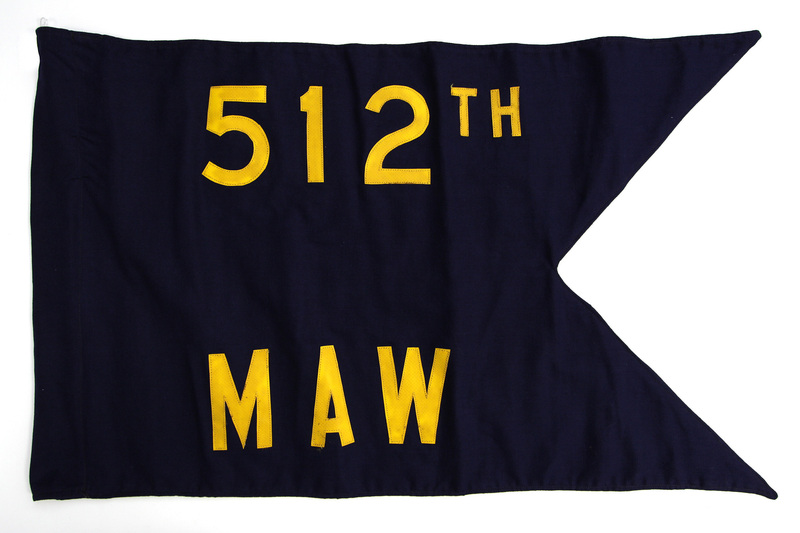 This older guidon has yellow vinyl letters stitched onto dark blue fabric.